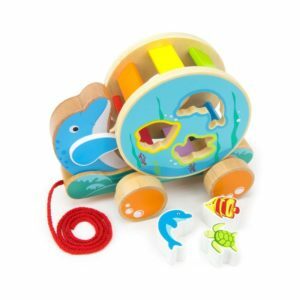 Looking for the gift that’ll encourage your baby through those major developmental milestones in their first year? 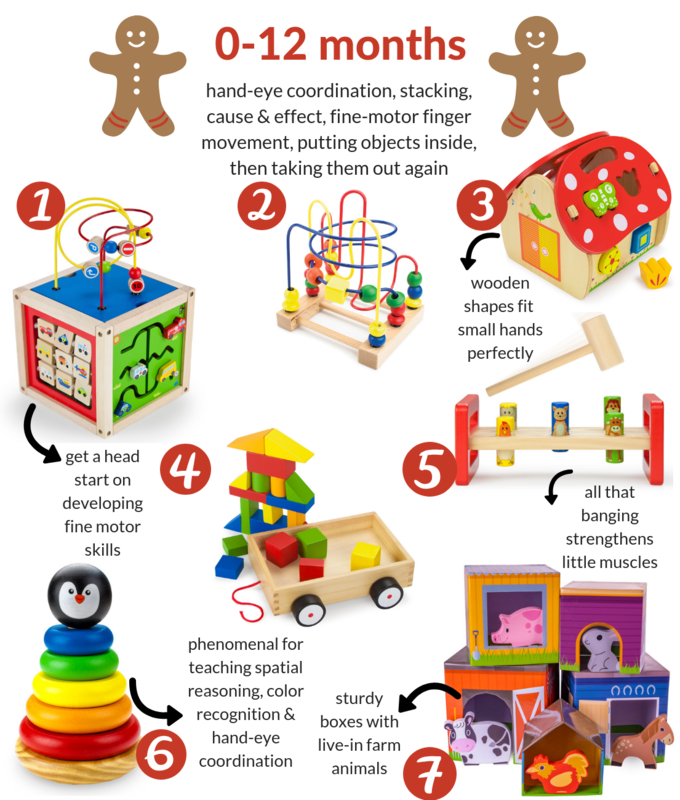 We know the choices can be overwhelming, so we’ve compiled this super-helpful, at-a-glance guide to toys that promote the development of skills crucial in your baby’s first year. 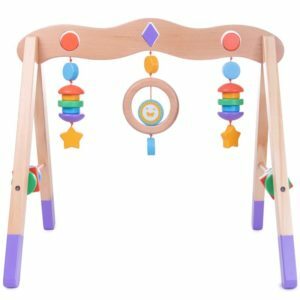 Place baby on her back, side or tummy beneath the baby gym, which features colorful, contrasting shapes that she’ll love batting and kicking at, and reaching for and grasping. 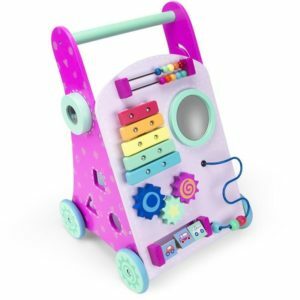 The toys on the side bars encourage rolling to the side, while those above her will get her to bring her hands together at midline. 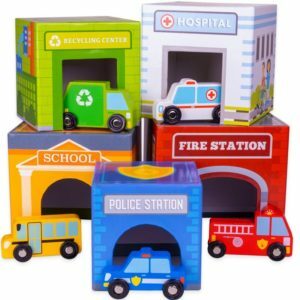 A sorting cube is a childhood classic for a reason – it works on so many levels for young ones. 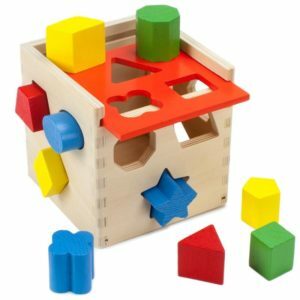 They not only start learning about shapes and colors, there’s a lovely sense of accomplishment in finding the right slot, and enormous pleasure listening that pleasant thunk as it plops right in. All that manipulating, flipping and fitting does wonders for their fine motor skills. And, at only 5.5” x 5.5” x 5.5”, it’s handily sized to pack neatly into your diaper bag. 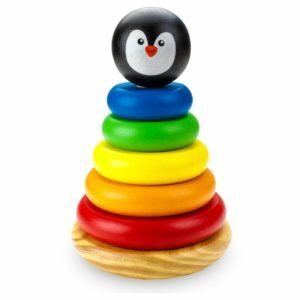 What makes this classic toy so important to development? 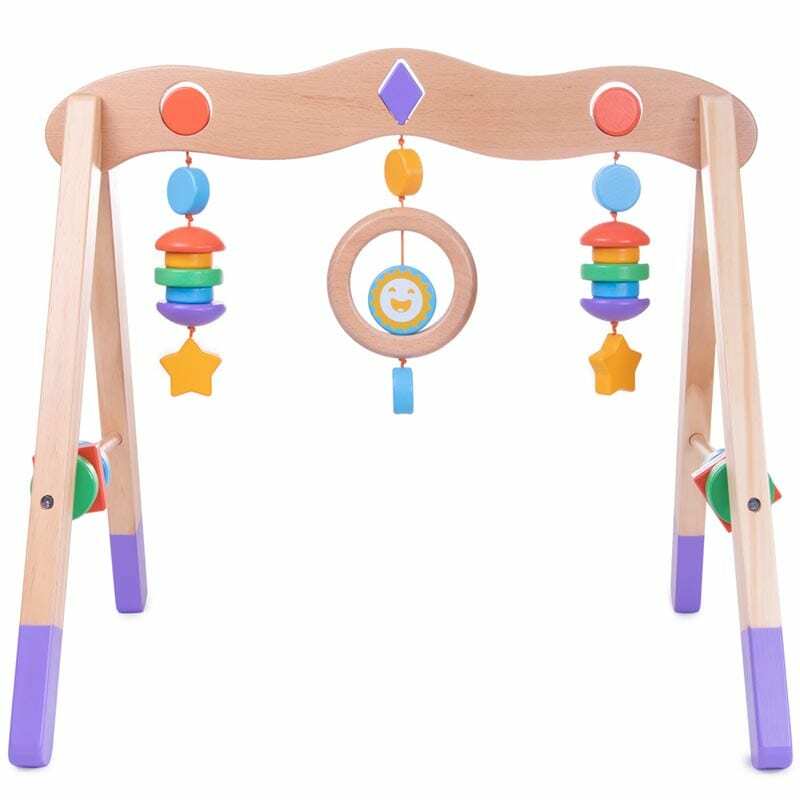 For starters, the circular shape of the rings encourages baby to hold them with both hands in midline. Plus the toy’s design means that she will take the rings off and on, on and off, transferring them from hand to hand, reaching and grasping, honing her hand-eye coordination. And if you place it on a raised surface, like the coffee table, she will pull herself up to get to it, boosting her gross motor skills. Even if your baby isn’t yet walking, the sensory activities on this walker will encourage little ones aged 5 months+ to sit and play – in fact,by bending their wrists back as they play (extension play), they’re exercising the muscles they’ll need one day for good handwriting control. 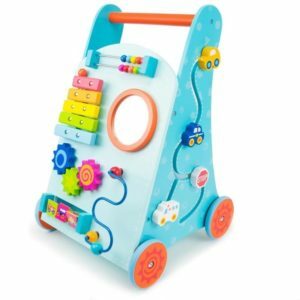 The rubber-rimmed wheels create a good amount of resistance, but do make sure the walker is placed so that it can’t easily roll away. 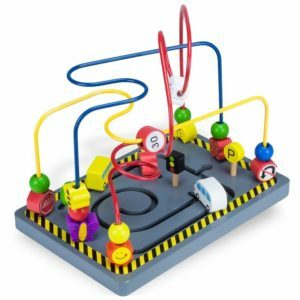 With their complex wires and brightly-colored beads, little fingers find it near-impossible to resist a bead maze. 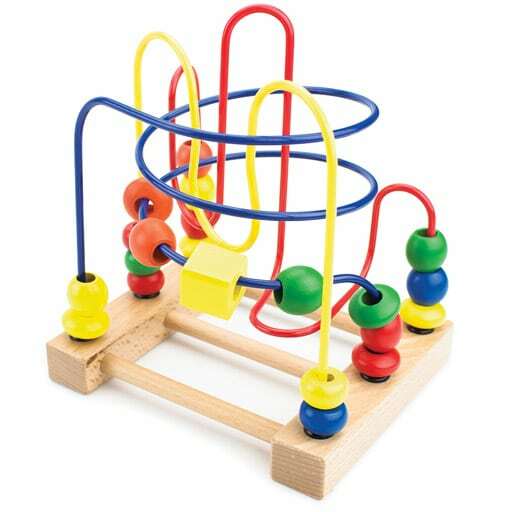 Sliding, pushing and spinning the beads along their tracks does wonders for fine motor skills. And watching them move around and bump each other teaches young minds all about cause and effect. Compact enough to fit into your diaper bag, this wooden bead maze is an essential for tactile exploration. luctus elementum Curabitur porta. amet, ut ante.